Where and when were you first introduced to the world of work and a snapshot of what your future might bring? Well, if you are like one-third of the American population, then this start was in some type of restaurant. Yes, one out of three working Americans secured their first job in a restaurant. Today, there are over 13 million people in the U.S., earning a paycheck in a foodservice outlet. An even more significant statistic points to 80% of all current restaurant owners who started out at an entry-level position in a restaurant. The American dream is alive and well in this business that many of us call home away from home. 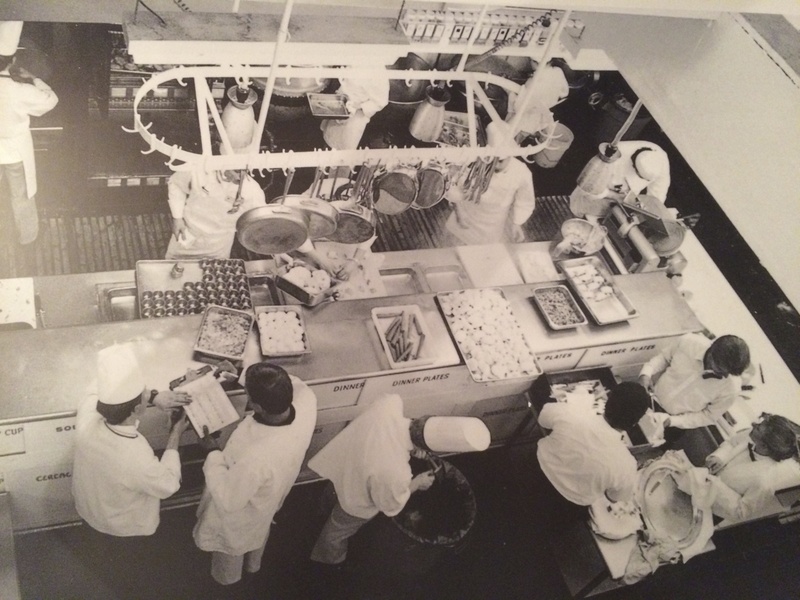 An ever-growing part of the population “came of age” in a dish pit, on the line, busing tables, pitching menu items to guests, making stock, or pulling fresh bread from the oven. This “coming of age” continues to provide valuable lessons and tools for anyone starting on that road to the working life. DEPENDABILITY: You quickly learn that your job, not matter what the title, is important in a kitchen. You depend on others to be able to perform your tasks and they depend on you. This is why so many cooks insist on working through their aches and pains, showing up to work when many in other professions would simply call out. STRUCTURE: You learn that kitchens can only function effectively if everyone follows the established standard operating procedures. Mise en place is structure, production sheets are structure, banquet orders are structure, recipes and formulas are structure, the way that orders on the line are called out is structure, and the layout of plates for specific menu items is structure. This is how a kitchen functions and those who are disciples of the environment keep those methods of structure throughout their lives. CLEAN AS YOU GO: Messy and dirty have no place in a kitchen workers life. The job of maintaining a high-level of cleanliness is not only the law of the land; it is what makes everything work. 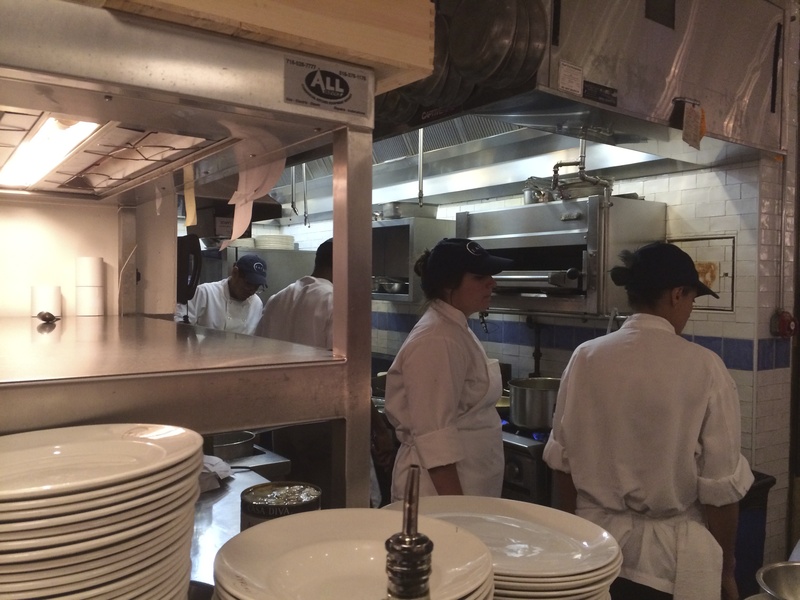 Even during the busiest of times, cooks learn to keep up with this responsibility. CONCENTRATION: Cooks discover that regardless of what else is going on in their physical, emotional, or mental environments, when they are involved in a cooking task, their full attention is required. A lack of concentration will result in cuts and burns (or worse), improperly cooked or burnt food, and sloppy plating of the dishes that carry the restaurants signature. PRIDE: This may be one of the “deadly sins”, however, in the kitchen, it is this pride that drives cooks to spend those extra few moments to make sure a dish is meticulously prepared and presented. COMMITMENT: Cooks understand that to be good, to be great, at what they do requires a level of dedication and commitment to building their base of food knowledge, practice their skills, and constantly improve. VALUE EXCHANGE: At times cooks may scorn those who can afford to pay extravagant amounts of money for food and wine in some restaurants, but at the same time they learn to appreciate how important it is to ensure that every dish they prepare, looks and tastes proportionate to the money spent. This also applies to dishes that are sold for more reasonable amounts of money – value must be at the forefront of their thought process and actions. CARE FOR TOOLS: We are able to perform our tasks in a consistent manner with the assistance of the tools at our disposal. Without those tools in peak condition, our jobs become difficult, if not impossible. Cooks learn how important it is to maintain knives, pots and pans, small and large equipment, even the side towels, aprons, and shoes that they wear. SAFETY: Equipment does not harm a cook; it is the haphazard use of that equipment that results in accidents. Bending before picking up heavy equipment, unplugging equipment before cleaning, closing doors after use, knocking on cooler doors before exiting, keeping floors mopped and dry, ensuring that pilot lights are lit, etc. These are critical responsibilities. ORGANIZATION: Cooks learn and know how essential it is to be organized. Everything should be returned to its designated location, every product on the line has its place, tickets are placed on the rail in a specific manner to respect communication, and the list goes on and on. RESPECT FOR OTHERS: Everyone learns that in the kitchen, everyone is equal. Each person deserves respect for what he or she does, the role that they play, and this, in turn, becomes the great equalizer. Age, size, race, ethnic background, beliefs, gender, etc. do not matter – it is the task at hand that unifies everyone. WORK ETHIC: Cooks learn to be busy, stay busy, hustle, give 100% and more when needed, and do so each and every day. A good days work, for a good days pay. PASSION AND EFFORT = RESULTS: Enjoying what you do in a kitchen and investing that strong work ethic will result in success. This is one of life’s great lessons. You get what you put into it. Successful businesses of all types understand this – kitchens practice it. COMMUNICATION: Sharing information, listening more and talking less, writing things down – making your lists, following the chain of command, taking care to act and not react with your communications; these are lessons learned in a professional kitchen. THE ENTREPRENEURIAL SPIRIT: Cooks build an understanding and appreciation for the process of ownership. They own the quality of their work, they own the power of positive relationships, and they own the experience that each and every restaurant guest has. This ownership experience is why so many entry-level restaurant employees eventually end up as business owners. The spirit of entrepreneurship is evident from the first day on the job. The kitchen is a remarkable environment for coming of age. It is a place where habits are built for life, where the value of relationships among team members is born, and a place where life direction and character is built. I know I feel fortunate to have taken this path. ← CAN A RESTAURANT BE EXTRAORDINARY AND AFFORDABLE? Another gem from Chef Paul.